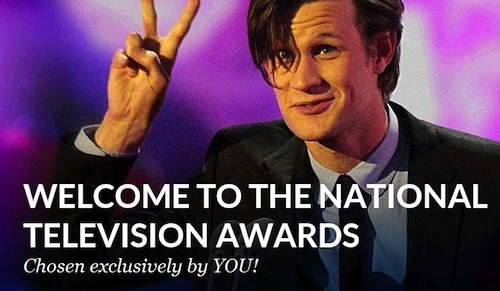 The National Television Awards have announced their nominations for this year's competition and there is a strong Doctor Who contingent. The show is up for Best Drama whilst Matt Smith and Karen Gillan are up for Drama Performance Male and Female respectively. Last year both actors won in their categories. You can watch clips of them winning HERE. In the drama category, Doctor Who is up against Steven Moffat's "other" show, Sherlock (along with Merlin and Downton Abbey) which also sees a nod for Benedict Cumberbatch, up against Smith. The ceremony takes place on Wed 23rd Jan.